Except maybe if there is wine in the stew as well. 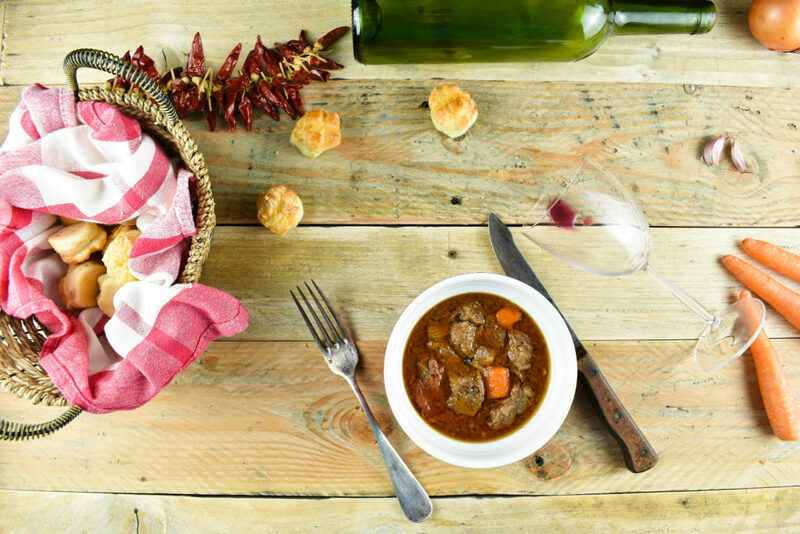 Beef and wine make lovely companions even more if they are cooked together for hours on a slow campfire in cauldron or missing that on the oven top. Stews are made since ancient times in all sort of primitive cooking pots like turtle shells, shells of clams or most ingeniously the belly of the same animals that were butchered. It can be said the making stews is burnt into our DNA by the long years thus anyone can make one without much hesitation or preparation. The only drawback of starting to make our best stew is the time it requires us to prepare. 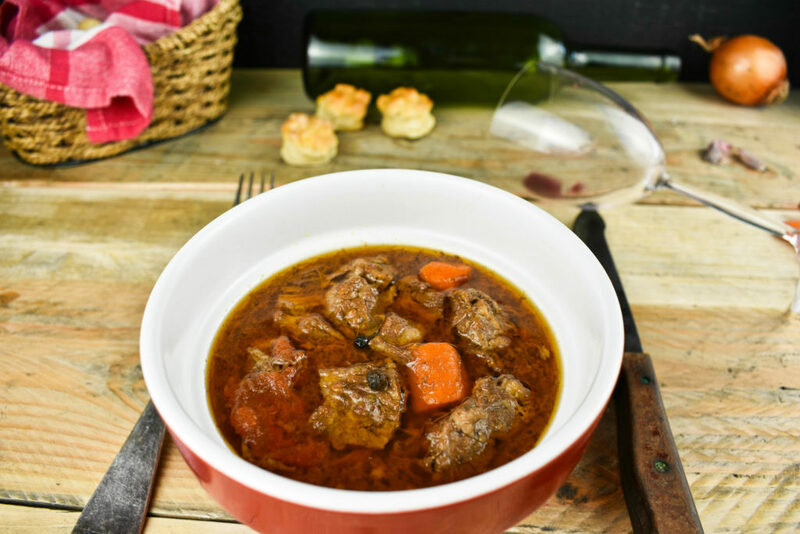 Making a beef stew doesn’t need much work apart from cutting up the vegetables we would like to flavor the dish and the meat. Choosing the right type of meat is kind of important though. Surely it is possible to make stew from all kind of cuts but the bits that has a bit more fat and connective tissue will taste much better than the boring lean pieces. As a general rule buy the cheapest cut available and use that for the stew. This may coincide with the cheapest one but it’s better to be careful with cheap meats. There is a big difference between cheap meat and cheap cut. We are putting a lot of time and energy into cooking a delicious meal so better to make sure the meat is up for the standards. Beef can be cooked to edible state in minutes or even eaten raw like the steak tartare but stews are a completely different breed of dishes. 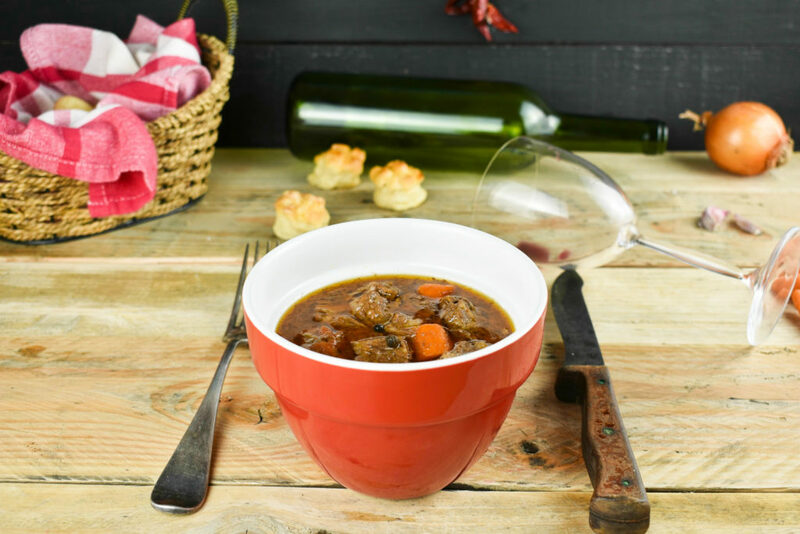 Stews are known about their harmony and smoothness where flavors are blended together on a sliver fork and melted away in joy. Or at least all the good stews that prepared with attention and care are like that just have a look at the Bolognese sauce. 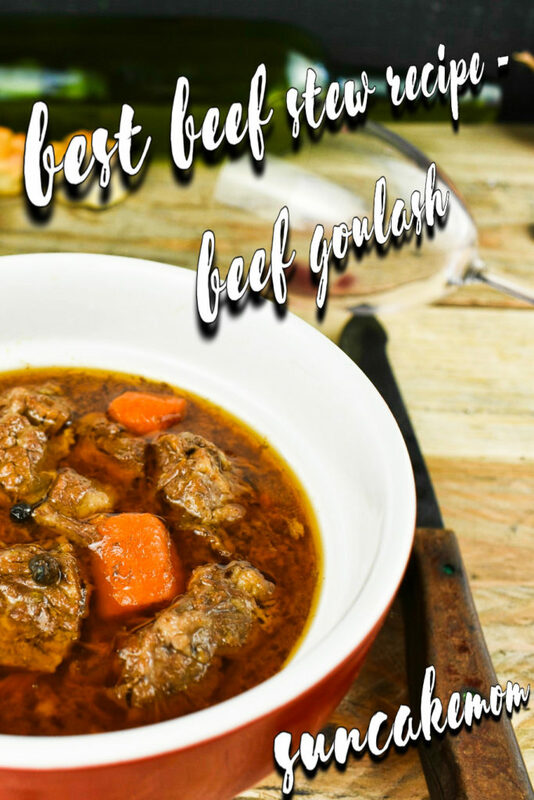 Although beef only needs about an hour and half to cook tenderish that won’t get us into the best beef stew category ever. To reach godlikeness with beef we need them to cook for about 4 hours on low heat. Strangely, it doesn’t matter if the meat is minced or it’s in big chunks, the time is required to create and exploringly flavorful dish no matter what. Sure enough, if we just take it off the hob after 90 minutes, we still have a beef stew that feeds the kids but it’s going to be far from glorious. Speaking of kids, we are using wine in this recipe to add more flavor and joy to the dish which may or may not evaporate during cooking. According to food science in contrast with popular belief alcohol never fully evaporates from food once added to it. It can be reduced greatly as in this particular dish it is shrunk to about 5% or even more given it’s cooked more than 2.5 hours. More on How to cook with alcohol in the KnowledgeBase. Wine is thus an optional ingredient that can be omitted at will unlike the vegetables and spices that will make the soul of the dish. Plenty of onion and a good amount of paprika will set the beef stew main characteristics while the rest of the spices touch the dish with different perspectives. 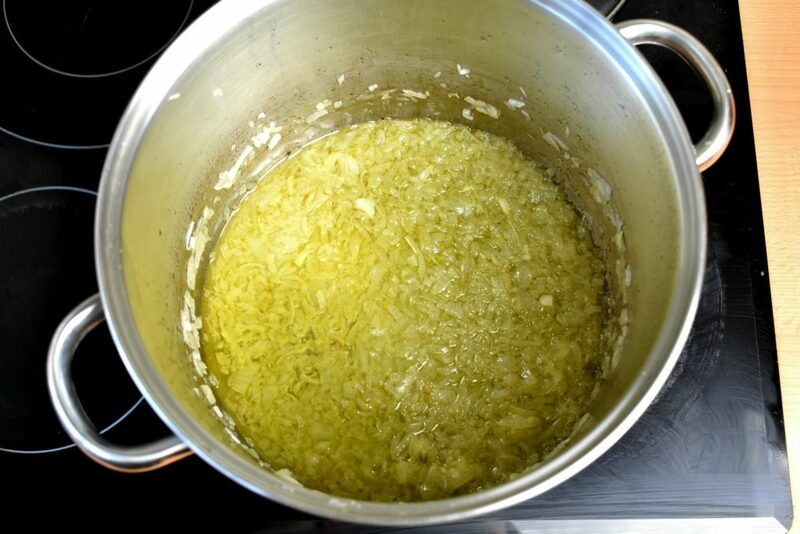 Place the lard or cooking oil into a large cooking pot and heat it up. Add the diced onion and saute it until it gets a translucent, glassy look. Add the diced pepper, paprika, garlic, tomato, salt, black pepper, cumin and carrot. Add the meat and mix all together well. Pour wine and water until the meat is submerged. Put the lid on and cook on low heat until meat is soft and meltingly tender for about 3-4 hours. Stir occasionally and refill liquid if it reduces below ¾ of the pot.